Cry Wolf!, Wolves are back in the Northern Rockies, but can they return to their ancestral range in our Colorado backyard? Conservationists are hopeful but the success of wolf packs in Wyoming may ironically keep them from reaching further south. The rancher–wolf conflict dates back to the mid 1800’s, when livestock was first introduced to the prairielands. During that time, settlers nearly eradicated Colorado’s large game, including bison, elk and deer, for food and sport. In the absence of their natural prey, wolves began to consume livestock. Experiences like that at W Diamond Ranch fueled a massive wolf extermination effort in the West in the late 1800’s, starting with county- and state-financed bounty hunting, and then a federal program (funded by tax dollars) in 1915 to destroy every last wolf. It took three decades, but in 1943, the last known wolf in Colorado, and likely the last known U.S.-born wolf in the entire West, was dead. Without their main predator, elk and deer populations soared, damaging vegetation by overgrazing and overbrowsing. At the same time, Americans began to worry about the loss of native species across the continent. Congress passed the Endangered Species Act in 1973, which was signed into law by Republican President Richard Nixon, and the U.S. 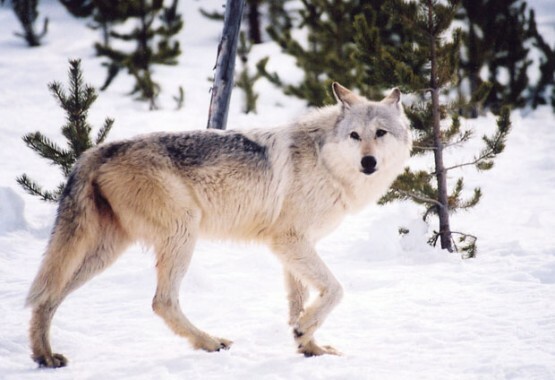 Fish and Wildlife Service added the gray wolf to the protected list in 1974. It was almost too late—the only place wolves still existed in the Lower 48 was the northeastern corner of Minnesota. In 1982, the Colorado Wildlife Commission (now called the Colorado Parks and Wildlife Commission) passed a non-binding resolution against the Northern Rocky Mountain Recovery Plan, a federal initiative to restore the gray wolf. “There were too many conflicts with other activities that happen in the state of Colorado, particularly ranching,” says Eric Odell, Species Conservation Program Manager for Carnivores with Colorado Parks and Wildlife. If wolves were to find their way back to Colorado on their own, they would be safe from hunters and ranchers due to their endangered species status, but the state wasn’t going to take any proactive steps to bring them back. In the 1990s, the Feds didn’t push Colorado to restore wolves. They looked instead to Wyoming and Idaho, specifically Yellowstone National Park and the wilderness areas of central Idaho, where there was ample natural prey, large swatches of land without roads and less potential for livestock conflicts. Both states fought against the reintroduction—and lost. In the mid-nineties, the Northern Rocky Mountain Recovery Plan introduced wolves from Canada into both locations, where they thrived. An estimated 1,700 wolves now live in the Northern Rockies as well as in parts of Oregon, Washington and Utah. Since reintroduction up north, a few wolves have found their way down to Colorado—but they haven’t stayed or didn’t survive. One was documented in 2004, a road kill on I-70, and the most recent, also a fatality, in northwestern Colorado in 2009. Conservationists like Robinson, the author of Predatory Bureaucracy: The Extermination of Wolves and the Transformation of the West, still hope the wolf will come back to Colorado. He cites research in Yellowstone that’s proven the landscape has returned to a healthier, more natural state due to wolf restoration. 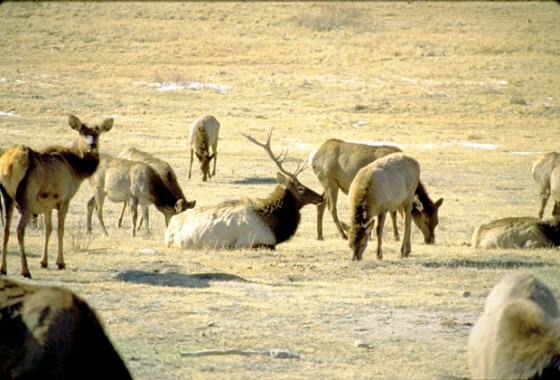 An overabundance of elk was consuming cottonwood and alder saplings in the river valleys, causing deforestation and destabilization of the riverbanks. Without shade from trees, the water temperature rose, damaging fish populations. Once the wolves returned to Yellowstone, the elk stopped grazing in some of the river valleys, the ones with high embankments that made it too dangerous for them to be there in the potential presence of predators. Those river valleys are once again full of trees, with less erosion because the roots stabilize the riverbeds. Fish are back to their normal levels. There are more songbirds and even beavers have returned because they don’t have to compete with elk for food anymore. Robinson’s river valley example is one of many documented ways that wolf restoration has helped increase biodiversity. Another strong positive is tourism. According to mammalogist Dave Armstrong, Professor Emeritus at CU Boulder, “The record in Yellowstone is clear, wolves are great for tourism.” But for every conservationist celebrating the return of the wolf, or tourist moved to tears at the sight of the majestic animal in Yellowstone National Park, there is probably a nearby rancher who fears it. Wolf recovery has been so strong in the Northern Rockies that the old rancher–wolf conflict has once again reared its ugly head. Wolves kill hundreds of sheep, cattle, horses and dogs every year in Wyoming, Montana and Idaho. And while federal and state wildlife programs compensate ranchers for their losses, as well as destroy wolves that interfere with ranch life (despite their endangered status), it doesn’t increase the gray wolf’s popularity in the livestock industry. In 2008, Wyoming, Montana and Idaho moved to strike the gray wolf from the endangered species list, stating the animal was successfully restored and no longer warranted protection. A federal court overturned the delisting, as well as a second attempt in 2009. The gray wolf was officially removed from the endangered species list in 2011, in a controversial ruling that some wolf conservationists are still fighting. But it was enough for Montana and Idaho to reinstate wolf-hunting as early as 2009, drawing up Wolf Management Plans that were approved by the U.S. Fish and Wildlife Service. Their plans dictated that wolves could be hunted, as long as populations stayed above 100 individuals and ten breeding pairs in each state (the numbers deemed necessary to avoid local species extinction). The way it looks now, Wolfe and other ranchers needn’t worry. 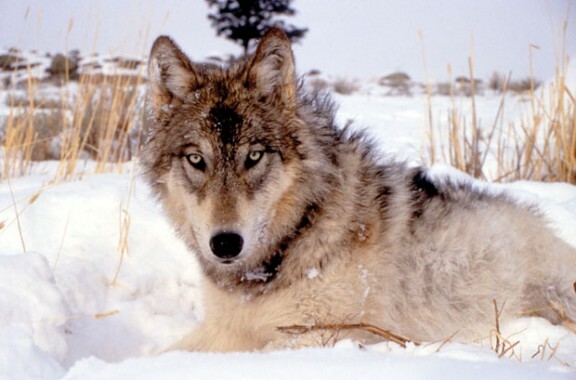 Last fall, Wyoming finalized its own Wolf Management Plan, which was approved by the U.S. Fish and Wildlife Service, and is currently in a public comment period. If things go as expected, wolf hunting in Wyoming (with the exception of Yellowstone National Park) could become legal as soon as this October. For some conservationists in Colorado, it feels like the final blow. Although the Center for Biological Diversity, along with their allies, intends to challenge the Wyoming wolf delisting in court, an open hunting season there this fall will decrease the population, leaving very little chance that a wolf, let alone a breeding pair, would ever find its way into Colorado again. Besides killing any hopes for Colorado to have a pack of its own, removing the gray wolf from the endangered species list in Wyoming and beyond brings up the larger question of humans coexisting with the natural world. For more info on wolves in the Rockies and what you can do about bringing them back to Colorado, go to the Center for Biological Diversity at biologicaldiversity.com and HOWL howlcolorado.com. The abundant elk of Rocky Mountain National Park—which graze the golf course and munch bark right off trees in the yards of Estes Park residents—have to make you wonder. Wouldn’t RMNP be an ideal spot for a wolf restoration in Colorado, to help balance out the elk population? No, says John Mack, the Park’s Branch Chief of Resource Stewardship. RMNP is only 12 percent the size of Yellowstone, and deep snow further reduces the elk’s winter range to just 3,000 to 5,000 acres, too small a space to restore wolves, who could end up down in town. “Wolves will follow their prey and don’t necessarily stay in the Park,” Mack says. Instead, RMNP manages the elk population through culling; shooting more than a dozen elk every year to keep their numbers down. —J.M.